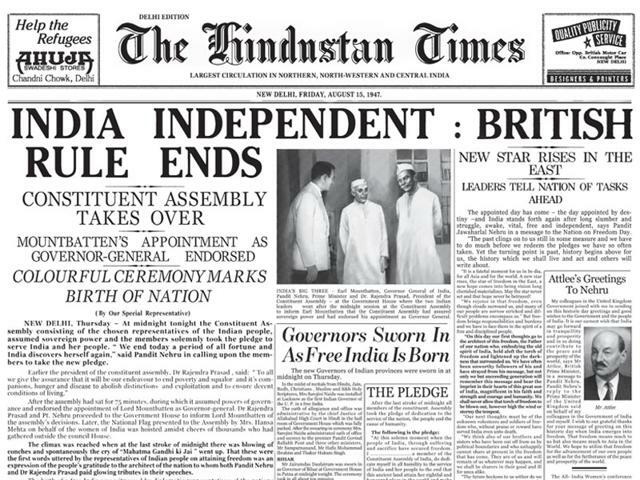 India had been under the British rule for quite some time until a stroke of midnight of August 15, 1947, the country achieved its freedom. India had been ruled by British owing to the land’s richness, variety of crops and spices, mining, and other sumptuousness. During the British regime, a number of commoners and politicians taking part in the various riots whether non-violent or violent in order to free the country. Some of the well-known fighters are Lokmanya Tilak, Mahatma Gandhi, Jawaharlal Nehru, Bhagat Singh, and more. 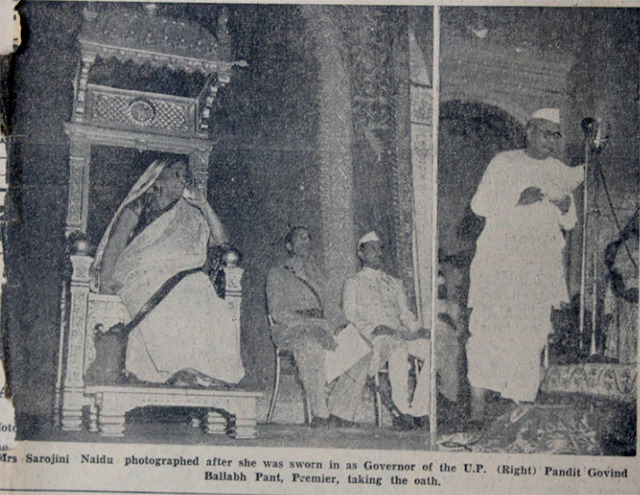 After the two centuries of colonial rule, the multifaceted fight back for freedom was paid. 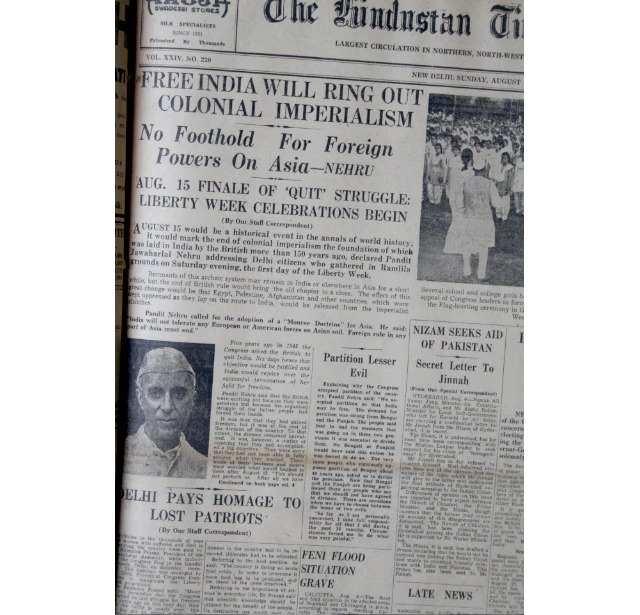 The struggle for freedom had culminated to be the longest in 1947. 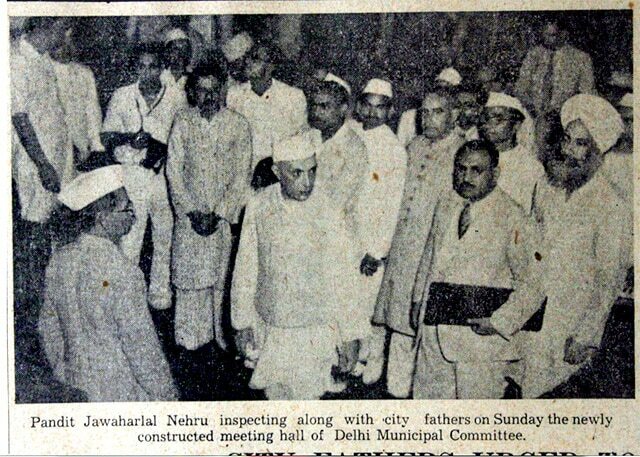 Right from non-violent marches headed by Mahatma Gandhi to the violent bombing by Bhagat Singh in the Parliament and from the three jawans of Netaji’s Indian National Army to the various meetings of the Indian National Congress are some of the well-known steps taken by the Indian people and government to free themselves from the merciless rulers. 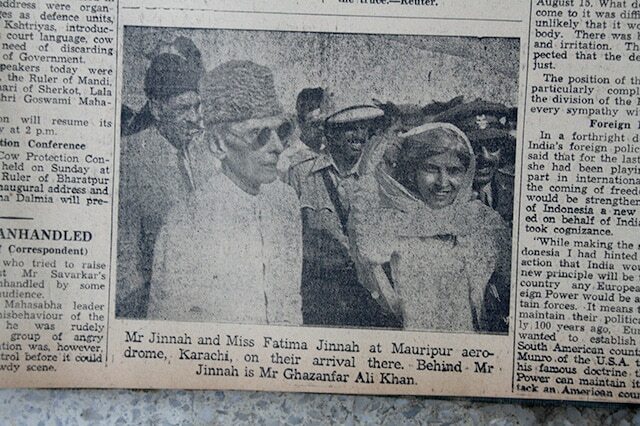 Along with the freedom, came the news of India and Pakistan partition. 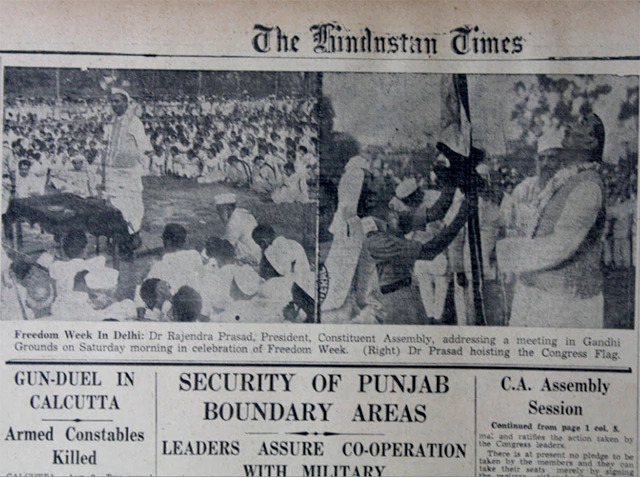 The partition between the two countries took place at the fortnight of 14–15 August 1947. 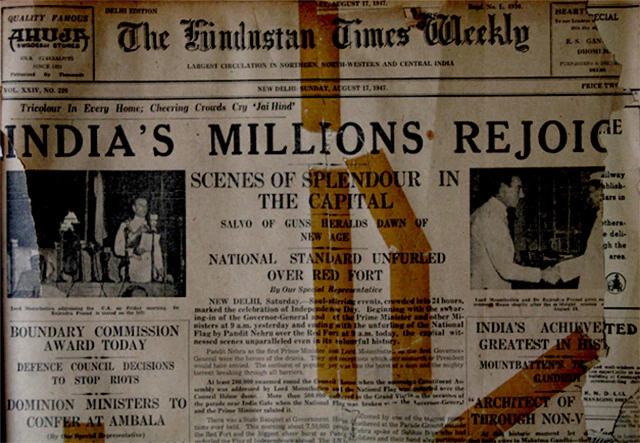 Hindustan Times was weekly in those days that reported the joys of millions on the August 17, 1947, edition (a Sunday). The 1946 communal riots witnessed in the district of Noakhali, now in Bangladesh, led to the killing of more than 5000 people. 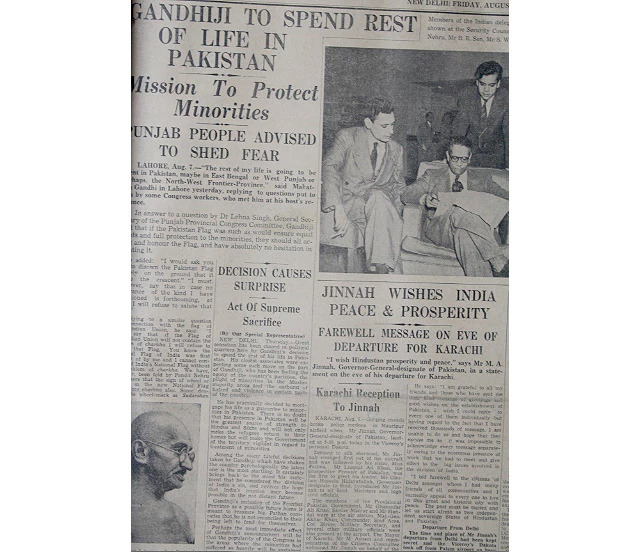 It happened just before the freedom and Gandhiji had visited the region. 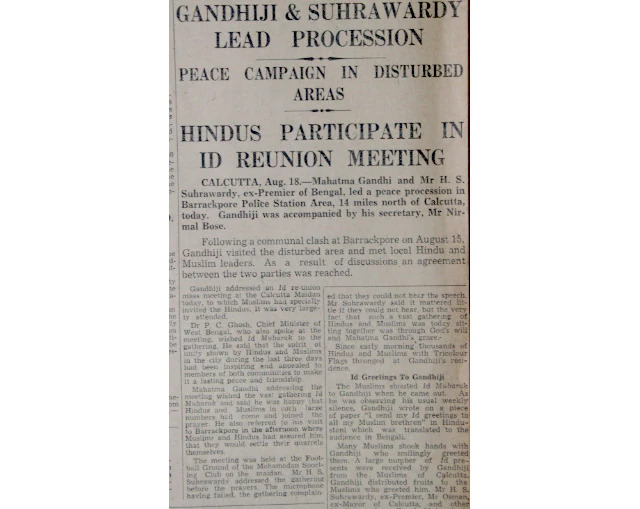 The newspaper cuttings mention the rising tension among the Hindus and Muslims post the partition. 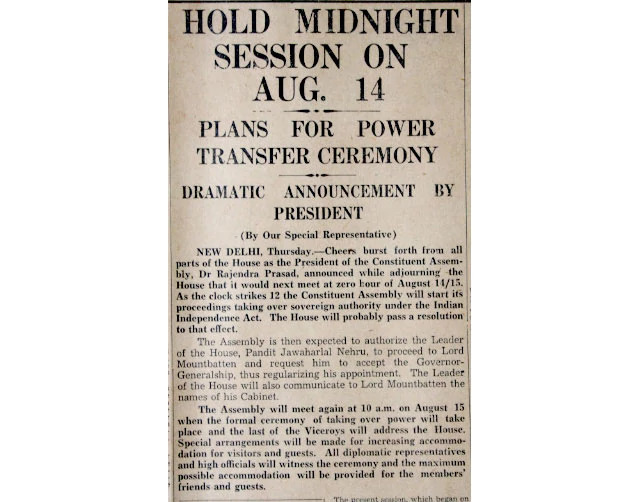 The fate of the nations of India and Pakistan were potted on the fateful midnight. 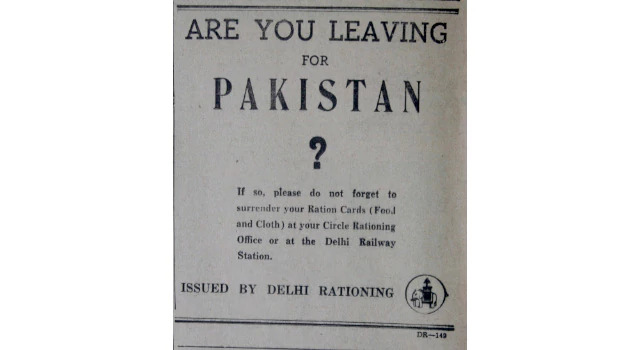 Beginning of a new chapter as the colonial imperialism was sent away. 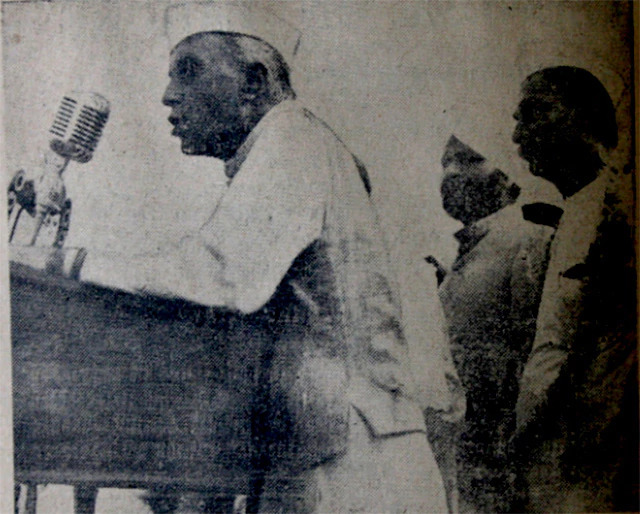 Pandit Nehru addresses people at the Red Fort on August 16, 1947. 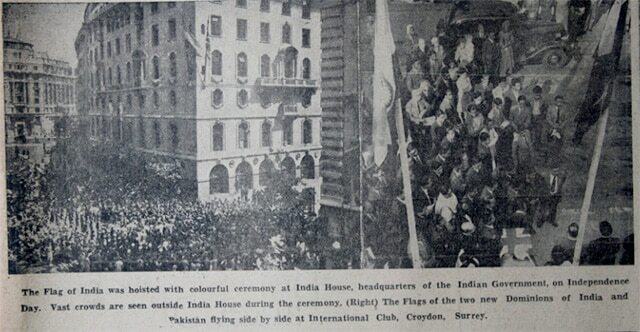 National Flag’s honor is of great importance.